If you feel that these interviews are providing you with an expanded perspective, more encouragement, and additional insights into our daily planetary and galactic walk, please consider donating to my website GalacticConnection.com. Thank you for your support! And thank you for coming by GalacticConnection.com to peruse our online library of galactically oriented information and education.-A.M.
Alexandra that everybody really has a lot of interest in. So, welcome Jill. Thank you for coming onto my show. Jill Thank you for having me so much. Alexandra You are welcome so much. And Jill is very busy. She’s just about to go out on a speaking circuit and she will be discussing all sorts of things regarding her celestial music I love that. Can you tell us a little bit Jill about the different types of things that you intermix in your music before we dive into the musical astrology? Jill Sure. I’ve been a musician from five years old and it has dawned on me maybe about twenty years ago that something goes into the back sometimes when I play and so I know when I am getting spiritual. When that happens I always perform so much better than I would without that help. It’s just so kind of funny because I always make sure that I go to the bathroom first because of the pressure on my bladder (laughter). Jill (Laughter) so I know it’s going on. Anyway, so I get help from spirit for performance and I also get help from spirit for writing music sometimes I just hear it. One time I believe it was??? 4:02 came in and conducted a symphony and I got to hear it with not my ‘regular’ ears. Some of my music I just feel like it’s cosmic plagiarism. You know I’m writing down this beautiful stuff that I’ve received and when I look at the classical composers of the renaissance they also heard music so I believe that musical patterns and musical songs are given to humanity at the right time to influence us and evolve us along our journey. So I’m just grateful to be one of the many to receive music, to write it and then perform it, and I usually perform not all but most all of the parts. When you’ve spent like twenty, twenty-five years writing ancient societies in all the secret mystery schools and I did that for personal reasons. For a spiritual quest and then as I did that I found that it was like ‘eureka’ these societies were using the sound of music to grow their crops, which now you can do. You can get broadcast for your crops from the work of Rudolph Steiner for example. Jill Then yeah there are all sorts of things. They used it for health; they used it like an elevator to become more psychic and more spiritual. They used it to get on the south track for their spiritual growth. They used it for little things like re-growing a toe that might have been chopped off. Lifting heavy objects. All kind of fascinating things and I just then devoted my life to bringing back this ancient wonder. It’s a way of looking at the world and thinking that everything is just a vibration and then learning simple, simple stuff from sound of music because you can hear it, you can observe it and you can measure it. You can see how we work and then apply it to everything. And that’s it in a nutshell and to my books and my music, and then in my music, I see the music, I’m inspired to do music the same thing and then perform it. And then I take these ancient customs that they used with different sounds, or sound matrix patterns and using it to influence your aura and your mind, body, soul to just kind of like take you right up and I did that in all of them but the one that would be of most interest for tonight would be the ‘Stardust‘ CD in which on top of beautiful music is physics. I’ve calculated the frequencies that a planet has in its orbit and it does make a wave. It’s not in our hearing range but it can easily be converted though and so the literal sounds of the stars that are twinkling in the background which is the custom and then I also put in my sub sounds, its like we have an aura color or a life time aura color. Your aura colors are going to change smaller segments. It’s the same thing with a planet, it has an overall tone and then it has other little sub tones and that would be elements. Jill Carbon, hydrogen, oxygen or nitrogen. And the frequencies associated with those, they’re also twinkling in there. So you listen to the heavenly music and then the stars literally are toning you and lifting you. As above so below. To be heavenly, to be one with your star family, to rise above. Alexandra You know I found it really fascinating when I was looking at what you put into your music. I mean first of all the fact that you do with every component of the music is amazing. How long does it take you to make a CD? Jill At least a year and that’s working 40, 60 hours a week. Alexandra Yeah no kidding! I mean you know I come from a long line of musicians and I know how much work goes into it so I commend you for that. You’re providing an amazing service to humanity. I mean If people really realized what goes into music and that’s one of the reasons I was so drawn to you. I think the other thing that people need to be aware of is what else goes into it from the standpoint of, you’re working with Solfeggios, you’re working with the Fibonacci tones, you’re working with the normal ‘B’s. These are all hot things out there on the Internet. Right? Jill Hmmm hmmm. Absolutely! So I’m using tonal patterns and matrixes to lift your energy up and clearing out negative energy with healing flowers and building in positive energy and you do it with repeats mixer virtue. That’s the real power of music is that we really have to put our will to change ourselves and then watch the time within our spiritual discipline but with music and then you can have it on in the background when you’re doing the dishes or driving the car or sleeping. And you can actually advance like that. I mean how easy and how fascible is music and it’s beautiful. Alexandra I know, well so obviously I thought the name of my website is Galactic Connection. I’m all about galactic anything. Alexandra I thought it would be interesting to go over a lot more about how the planets, you know how do they produce sound and you know who originally discovered that? That would be like my very first question. Jill I could do that. So it’s really two. Tell you the ancient stuff and then I will tell you how science measures the planet and the stars. Jill Does that sound good? Jill Well, the music of the spheres is about as ancient as history gets. The earlier you go back, you get into these little, small niche very evolved civilization. They’re all using musical astrology. They’re all aware that these subtle frequencies that you can buy off Motorola for $9.99 they come in for the movement of the stars, that they influence our mind, body, soul and the real early ones they would notice things like Venus in eight years, it stands still five times and it traces a perfect pentagon. Jill You know the Pentagon was very important in sacred geometry, sacred energy and again ‘so as above so below’ so that when they lock the Pentagon on earth, they are locking the patterns of Venus. Jill Mercury a six pointed star, which you can learn??11.19?? from the morning and evening stars. And so they’re looking at the patterns of the stars and then here’s another old one this is from the Egyptians. And I am so excited about this. I think it’s so cool. The Egyptians would tone the sounds to the planets. They had seven known at that time. And they also got into as I said earlier observing sound and applying it to everything. So you would observe how a wave works and lets say apply it to string theory to understand the universe they were doing things like that. And the thing about making not just pitches but they also came up with vowel sounds for each of these seven known planets. And the thing about a vowel sound is that if you photograph them, which was first done in the 50s by Clarence Darrel Miller. And anyway if you photograph them they look like bannister posts with different shapes and that’s because the auto vibration has different amounts of energy in different pitches or there’s different kinds of frequencies of like an after vibe. Different vowel like ‘A’, ‘E’, sounds like the entire concert at the same pitch. ‘E’ flew in more energy in the higher after vibes that’s why it sounded higher. So the big secret in Egypt, ‘The Big Secret’ was that they would tone the pitches and the vowels for the seven known planets to enable the Pharaoh to enter the next life to ascend and where he would then look over the country and take care of them from the spirit world and you’ll find this practice and I can even give you it. This practice its in Egypt It’s also in every major mystery school. Jill Its in theosophy, its in ancient Chinese, now there’s a question and they all have some type of fast track, using vibrations, kind of like a jackhammer to assimilate their ascension and growth for enlightenment. And there might be different variations but they are all fairly close. They are simply the vowel sounds and Venus is associated with the Egyptians, with ‘A’; Mercury, E’; Moon ‘I’; Mars ‘s’; Saturn ‘U’, Jupiter ‘O; Sun ‘A’. Alexandra And isn’t this kind of a play off of the ‘Sound of Music’ when they did the ‘do, re, mi, fa, sol la, ti’ which is completely wrong? Jill Well actually no really it’s not, its more like, rather than giving you a little jingle to memorize the names of the notes of the scale they’re just using combinations of vowel sounds said differently, combination of harmonics to take and rise somebody up. Jill Like Helena Blavatsky did and the Hebrew? Ya oo way, Yahweh: ‘Eeyaaoouuweeh’. Alexandra Wow! Wow! Ok. I’ve never thought of it that way! That’s fascinating. Jill Yeah! That’s what the Egyptians did, using this across the tones like I have on my CD and they are using it for their pharaoh for their ascension. That was kind of cool. Alexandra It is. So way, way back. You’re talking very, very beginning sound was the crucial element, in everything from construction even. Jill Right. They even draw pictures of like spaceships and they talk about getting this information from brothers from the stars because it’s amazing how accurate it is that they would have gotten it. But then carrying on to finish the question, later on Hettler (D.W. Hettler) he was a scientist in the 1600s, he went and figured the angles, the angles the furthest away and the closest to the sun the ratios of each planet. And he found that they created ratios that were the same as a musical scale. He offered that as their sense, there’s harmony, there’s reason why we like the scale we do. It’s in the stars and it comes down in little kind of vibrations and it influences our brainwaves. How cool is that? Alexandra Wow! Wow, well speaking of brainwaves, I really wanted to ask you about this, I was floored when I read this you were talking about Kepler’s diatonic musical scales and reducing it mathematically to octaves and you were saying that it corresponds to the brainwave patterns of alpha, beta, theta and delta. Can you talk a little about that? That is amazing! Jill Well it’s just really simple. What an octave is for those people who aren’t musicians, it’s the same note: ‘bom, bom’ just higher and lower. And when you look at the cycles per second, lets say a hundred ‘bom’ is a higher note if you have it in cycles per second to get fifty cycles per second you get the lower octave, same note and energy transfers between octaves. So if you had two violins and you play an ‘A’ string on one the ‘A’ on the other goes off. Think of the gerbil tunnel, energy transfers through octaves so when you have a sound created in the universe making a tunnel, it lowers and it keeps lowering it by just dividing it by two, you get the lower and lower note. Then you can look at the frequencies of it and then put it right next to the brainwave pattern. Alexandra Wow! Oh my God! That is just amazing. So how does frequency differ from intensity of the sound? Like how are they related? Jill Interesting. Very interesting, you came up with some very bright questions (laughter) no surprise. Jill Your mind, body, soul. So he says they’re the most powerful because they’re in analogue wave form. They’re totally accurate. They’re the perfect pitcher. And so in my CDs when I am using my matrices I have made little tiny tuning forks. So they’re just like wind chimes slightly going in the background, very subtle. Alexandra Wow! So of course this is such a key indication of how we are being unfortunately manipulated by some of the EMFs right because they are so subtle they’re in the background. Jill So easy to do. Jill So easy to do. We need to wake up people so they start to pay attention to the frequencies. You wouldn’t go into a hospital and just pick random medicines and down them but yet we do the same thing with sounds. We ingest sounds period. They become part of our body. Alexandra I like that. That should become a bumper sticker. (Laughter). Alexandra (Laughter). To wake people up. Jill I mean, sounds neither good nor bad, it’s nothing. It’s how it’s intended. It’s how it’s used. You can use it to fiddle; you can use it for elevation, in ascension and enlightenment. Jill What choices are we making? Oh and you know actually I didn’t quite finish we were talking about sound in ancient times and I know you’re going to love this one too. In 1776 some of this stuff is getting more modern now, Johann Titus, he observed that if you put Mercury in the center of our solar system, you know just kind of rearrange it, or considered it the center, anything an octave apart. And so you can see there’s sacred geometry in the sky and there’s music in the sky, and Phi, ‘P’, ‘H’, ‘I’. but phi you know which is found in your five pointed pentagon, it’s like the pitch solfeggio, it’s the sound that causes the curving patterns in nature. But anyway, it’s very sacred in ancient times. If you go into a planets orbit and calculate the distance between planets, the ratio between the distance between the planets and the average distance between the planets, every single one of them is going to equal phi. Again it’s showing sacred geometry in phi how as it used to be and is no longer, it used to be a stable of music to tune people to the heavens and to nature. Alexandra Ok I was going to say nothing like a perfect representation of our world in divine order. Jill Absolutely. That was what music was say three hundred years ago. Jill Notice, when we stopped using these perfect representations we disconnected to heaven and earth. Then the industrial revolution came and we plundered earth. We are no longer connected to sense what we were doing. Alexandra Every time I interview you I just applaud by the information you’ve uncovered. It’s just amazing. Now do me a favor, clarify for me, go back for a minute, you talked about analogue and there was something I think I remember reading about the analogue system is crucial for the central nervous system. Why is that? Jill Well the analogue system is an accurate representation of sound. Think of analogue in terms of a visual thing. Like if you have an old fashion film and you expose the light to it you get every graduation of light. If you switch over to a digital camera, it’s averaged and you get little dots that represent areas. Jill It’s the exact same thing in sound. So not only is your digital sound incomplete but sound has harmonic patterns. Your body operates on harmonic patterns. The ancient wisdom is just begging to put our medicine upside down because there is so much more we can discover and heal once we realize that everything in your body also is a wave and operates according to how sound works and sound creates like astral ripples that are called harmonics. And so the harmonic pattern is how our body runs and digital sound gives you distorted harmonics because the sound is incomplete. Alexandra So is it actually missing or misrepresenting because it’s kind of an average? Jill It’s just an average. Alexandra It’s just an average, interesting. Alexandra So it’s through the eyes of a musician such as yourself how would you define disease? Through a musicians eyes. Jill We’re out of tune. We’re out of tune. Alexandra Oh, I love it! I love it! Jill Out of tune and disease. We have, our discomfort makes us just perhaps flat, musically flat. Then we get stressed, we get musically sharp. Alexandra Wow! (Laughter). Oh my God! Jill And then your alchemy, how like something was made with blue if somebody is sharp and you want to use some kind of herbal, something made from blue, blue color its going to be sedane? ?, its going to take them down. Whereas the red and orange enlivens, energetic, like frequency and color and music. They are overlays of the same thing. Alexandra You’re also showing me that sound is the core glue to all that is to be researched on this planet. Jill I believe so. A lot of people believe so. Alexandra Yeah! Everything from science to quantum physics to healing, to medicine, to whatever. It just seems to be the perfect panacea. Jill Right, because its not really just sound. You’re learning the law of the waves and everything’s a wave. Alexandra Hmmm. Interesting. Well, so now, when you were talking about the planets can you kind of go back into each of the planets and what type of energies they carry? Jill I sure can, I sure can. But first of all I know one thing I did want to do, that I just got off topic. I just want to say many astrophysicists refer to the planets as instruments. Like the smaller ones are flutes, medium ones trombones, big ones tubas. The gaseous wave going up and down and they are also in an orbit. Each little dot in the sky is a little world of frequencies and so they have been measured. They are in fact used to determine the composition and the size of a star. Ok, so now as far as some of the things that the stars do. Well the easy ones would be like Venus. I know I have a little, I am just looking through my materials right, I’m just looking for a…..
Jill Venus is of course is love energy, Mars is your warrior energy, Neptune is kind of your dream energy, Mercury is energy of communication. And I’m looking…. Alexandra And I know Pluto is transformation and change. Right? Jill Yes, exactly. Ok found it! The Sun tone spreads motivation, vitality, radiance. The Moon, emotional softness, intuition, Earth security, safety sound of omen, Venus, Mars, Jupiter with openness, trust, optimism, good fortune, Saturn is developing discipline and setting limits, being responsible. Uranus is possible for life change inspiration, freedom of expression. Neptune is for dream life, artistic nature and Pluto helps to place our secrets and our deepest fears. Jill Yeah one of the interesting things about the ancient people was they would listen to the sounds of the stars because those energies are going to come in and they would try to harmonize with them by listening to them especially while listening to really pretty music or nature. Then you get in a really good spot and you harmonize with the different tones and that helps you handle your astrology because if you can harmonize the dissonance. Then the dissonance that you see mentally, emotionally, and physically dissipates and there’s many, many ways of doing it like Teddy Andrews, he would just notice like, if the stars aligned in a straight way, in a straight line, he would just add them up and play them all at once. Now, when you play them all at once they could turn grey and could just sound really rotten. (Laughter). Jill Of course if they sound great then the horoscope is always fabulous. If they sound rotten guess what’s coming your way? Well this is what he did, well like you know because you’re a musician, a musical second of just two notes close together really sound rotten. Jill And so lets say that’s you’re horoscope. So you’re really in for it. What Teddy Andrews would do, he would just add other notes and like make it ‘bom, bom, bom’ and then make it like a seven chord making it creamy and he would add other notes and all of a sudden than dissonance becomes like a cream to mellow. Jill And then he undoes your challenges. Alexandra Gosh that was cool! That was brilliant! You know it sounds a lot like, I trained with a hermetic teacher for several years and he told me, he said: ‘you know people that have come to me and presented me with their astral charts and they’ve had just miserable lives because their astral charts have very, very challenging aspects and he says but that too could be overcome, that can be transitioned and tweaked and this is probably one of the perfect ways to do this. Jill Yeah and even Kepler he was back in the 1600s, what he did was he would notice a trine which I guess is a good energy. So when you look at the angles on a trine, you get the ratio of three to two, or 360 degrees over 240, well the ratio of a three to two corresponds to the musical interval of a fifth which is the most perfect, creamy yummy sound. And so you can see that the trine is the most beautiful sound that we know of. Whereas when you have a square and then you look at the ratios I mean it sounds terrible and that’s your opposition. So even way back then they were doing these kinds of things. Then there’s another new guy people this is really cool. People I go to linked in with Don Adams; it used to be ‘Sound of the Stars’ but its something like that. Anyway it’s close to ‘Sound of the Stars’ and for everyone on Yahoo Group it’s ‘Sound of the Stars’. And what he does, he looks at really desirable configurations in space. Like you’re going to meet the love of your life or you are going to get rich or whatever it is you want. And then he analyses the angles and the pitches created by the stars. And he kind of does what I did in my Stardust CD, is the overall tones and then he gets into spins and angles and different subcomponents and then for a small fee buy the track you and listen to the positive astrology and you get hundreds. Alexandra I think I’ve heard of him, I think I’ve blogged him a couple of times. He’s a really interesting guy. Alexandra Don Adams. Yeah. Wow that is just so cool! Now how did they determine the note of the planet? How did they measure that? Jill Ok, well there are several ways. Perhaps the most common one is, the one used by Cousteau, developed by Fabian Cousteau and he just uses a formula from physics and that’s frequency one over the time of rotation. And Barbara Hero, she has a site called lambdona.com and she does a lot of the sounds of the stars. She uses a different frequency a formula from physics, she uses frequency equals velocity that is the speed in the air, speed of sound to air that’s like a constant one hundred and thirty feet per second divided by the wave length. And anyway both of these people then come up with the frequencies and for audiences I put them in a list of what the musical tone for each sign and so you can find the musical tone for the planet. Alexandra Ahhh, that’s a great idea. I think people would love that because I’ve looked into this and I got very, very frustrated because there we’re so many different opinions on what note was affiliated with each planet. Jill Well what I have here is I have just taken the frequencies flight down octave like you said before to define musical notes and then I’m using some of the ancient stuff and some of the physics stuff and so I’ll share with you. Jill A very red musical note is ‘C’ its all about self-power, direction, leadership. It’s about health wise, big muscles, heart, good circulation. Red/orange is Taurus is ‘C’ sharp, justice, champion of justice, you’re hard on yourself, you’re stubborn, physical issues would be circulation, digestion and back ache. I just don’t want to read this whole list because that would be boring. Jill Maybe people could email me and I could send it to them. Jill But anyway jillimattson@yahoo.com, ‘D’ would be orange, or Gemini, ‘E’ sharp would be orange/yellow, Cancer, ‘e’ would be yellow or Leo; yellow/green – wait a minute I got this wrong. ‘D’ is orange, Gemini, ‘D’ sharp is yellow, Cancer; ‘E’ is yellow or Leo; ‘F’ is yellow/green, Virgo; ‘F’ sharp is Libra, green; Scorpio, green/blue ‘G’; ‘G’ sharp Sagittarius blue; ‘A’ blue/violet and Capricorn; ‘A’ Sharp is violet and Aquarius; Violet/red is ‘D’ for Pisces. And so each one of those equates to your sign, and personality and if you do Medical Astrology acquaint to that, its just frequencies. Alexandra Wow! So it really would behoove somebody that took like their sun sign, their ascendant and their moon in particular and combine those three notes together. Alexandra That would actually assist them to become more harmonic in their field. Jill Yes, yes and to even do harmonics and listen to the perfect after ripples of those systems. Barbara Hero did a lot of healing on the sounds and the tones and the harmonics of not just the ‘C’ for example but the ‘C’ and the harmonic pattern that follows. And then she went and took this and she applied it to the different star systems. So she was trying to observe science in terms of, you know astrophysics in terms of harmonics. And another thing that was really cool was many of the planetary systems that people channel and that we perceive to be helping us at this time Pleiades, Sirius, Arcturus for example they are all planets, they are toned in the tone of the earth are very harmonious. Alexandra Wow! So which planets are dis-harmonious? Jill I don’t know, she wrote them, she just wrote the positive ones. Alexandra Fascinating, that makes a lot of sense. I mean so logical. Jill Yeah. They need us as much as we need them. Because we are each other’s balance, each other’s sweet box. We need to be there for each other. Alexandra So, so now when you get into musical astrology I think there was something about the best time to treat an organ is when the energy flows the greatest. Can you kind of go into that? How did they determine that and that kind of thing? Jill Yeah, I think there were several ways. That is an ancient philosophy, kind of like Feng Shui very old. So you can get that information from a thousand years old. You can also get it, they started to observe some of the things in science and when the system is healthiest when the operations are most successful and they’re coinciding. So the ancient knowledge is getting re-birthed in science in terms of when it’s the best time to do a particular operation on a particular organ. Looking at when it at its strongest and its optimum energies. And just an interesting thing in ancient times, people saw the energy of time like a spiral, very much like the Fibonacci spiral like the spiral we see on the sea shell and they found that time and music were almost kind of like parallel spirals. That was an ancient belief you know that I find a fascination. Alexandra Interesting especially when I just had a conversation with a bunch of people last night because I went out to the conference in Palm Springs and we were talking about time and she was a Quantum Physicist and she was saying but there is no time. (Laughter). Alexandra And she was talking about how you know there are folds in the space-time matrix continuum grid whatever you want to call it. Jill Waves, waves that’s what many people call it. Alexandra Yeah waves, exactly. Well now how about talking about what’s going on with the planets right now. I would love to hear your musical perspective on this. Obviously you’re aware that the sun’s magnetic field is in a great decline and I was wondering how is that affecting some of the things that you’re looking at or creating. Jill Well actually I am a musician and I’ve studied??40.03?? but I am not an astrologer or at least not yet. (Laughter). Jill I would love to add that, but anyway, so I can’t get into some of the details. I do know that we can maybe step back and look at a bigger picture that at this particular point in time and I’m going to give you a big picture not then we’ll jump down to the little. So lets look at you know 2012 you know plus or minus ten years. Jill At this point in time the ancient people say that we are in an orbit, in which it’s 26,000 years our solar system is going around the galaxy. And what makes this particular time so potent is that the way that the stars line up the energy frequency sound, the music, the waves that come into us are powerful, they jolt, they can uplift. But again you know sound isn’t always good. It’s just like on a full moon. It can make people elevate or it can make people get worse. It’s the same kind of a thing. So these energies kind of come in and they kind of like and they maybe separate the wheat from the shaft on how we can deal with these vibrations. And they are to lift the society to a new era product. In the mystery schools they would call the time right now like a going into a Golden Age. And since the ancient times they paralleled the time with the music. They paralleled the harmonic pattern with time. So they would say when you have a golden age everything is in unison. You get the good energy, we’re moving into that, we’re not there yet. We’ve had this time of enlightenment, preparation. We’ve learned a lot and progressed in some ways. And so right before you get to a golden age back to the parallel of time with music the first harmonics are really beautiful and as you go along time the harmonics get more and more and more difficult. And towards the end to listen to the harmonics is so close together it just makes like your fingers like scratch on the black board, they are terrible sounding. And they get worse and worse and worse and then they ease into unity, which is the new golden age. So in the big picture I think we’ve had very challenging energy according and it would dovetail with ancient thought, with people like Nostradamus and John Blunt who are doing philosophy into astrology. First the time when we hear the really nasty sounds or vibrations not actually ones we hear in our ear. And one of the things I’ve learned in my study of music is that sound is neither positive nor negative but you can use it in both ways. You can take a really nasty sounding sound in music to break someone’s hard, mental or emotional body or to open up their hearts. You can use it to take that nasty energy go into your being, you’re a multi dimensional being and start taking out pain not just in this life but in other lives and perhaps other dimensions. You can start taking a multidimensional being and start to take that crap out. And that’s what I think we can do at these times when those types of energies are coming in that are very challenging. It’s like what to do with the, like you know how we just talked about astrology two crappy tones coming in just try to add other tones and make it sweet or come up with a tone with the same balance and harmony to listen to the new frequency pattern which will change you but to do it with grace and ease because its just going to uplift you. And when you get nervous and tight and judgmental you get stuck and that’s when the frequency really starts to hurt you. Does that help? Jill You know something kind of fun Alexandra listening to you right now is just focus on the sound, I mean pain in your body. And remember pains block energy and it’s a vibration and vibrations combine. If you get the same pitch or you get something similar they combine. 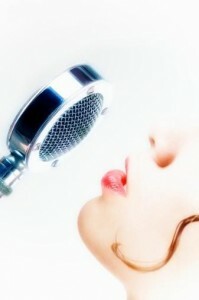 Your voice is a combination of every frequency in your body. Its like it spins on its feet. If you have a pain, feel it, and then give it a tone, don’t worry about getting it right. I mean just use your imagination or ‘wheeeee’ or whatever note it is. Just concentrate on the pain and make a sound and allow the pain to carry on that sound and see if that stuff just leaves your body. How simple is that? Alexandra Yeah, that’s an awesome idea. Toning is so powerful folks, I mean if you haven’t done it. I think a lot of people hesitate to do it because either ‘a’ they don’t think they have a good voice which doesn’t even matter. (Laughter). Alexandra Or ‘b’ they think they are going to be a you know kind of a ‘tweeb’ doing it but if you’re doing it in your own shower, who cares because it is effective. It’s really effective. Jill Yeah. Just another one this is really, really old. This is many thousands of years old. Let’s say you’re having a bad day and somebody just comes in and loads on you, they’re yelling at you, they’re telling you crappy stuff. They’re taking all their ugly stuff and they’re just giving everything you can get. If you then put it in a tone even if it’s in memory, because your memory energies are still with you. Give it a tone and then take it up an octave and then keep taking it up octaves, now eventually because the energy will follow your intent. So now you’re getting to the top of your voice range and you have to take it up in your imagination. So you just imagine it getting higher and higher. Well you’re actually going with your imagination into other dimensions that are in some duality and all the negative stuff strip and so in your mind keep taking this tone and all this anger that was given to you because the anger goes with it and you take it up and up and up and it starts to transform. I usually like to see myself going up so high so I can see the earth and then I imagine I can see a solar system and then I imagine I’m with God and the beautiful blue cloud or pink cloud and then its so beautiful. And then I jump back into my body keeping the energy. The idea of the ancient technique was that if somebody means you harm and sends you verbal abuse take their energy and use that little process. You can do it in a second if you practice and then you can take their energy into the most beautiful stuff and wash yourself. Alexandra Awesome idea, I love it! I love it! Alexandra Exactly. And honestly, if you study this matrix that we’re in, which is more real, our imagination or what we’re living? Because everything that we’re living is filled to the brim with lies. Alexandra So all that we truly know is within ourselves and imagination is the number one key folks important. I am so pleased that you bought that up. So what is your feeling about crystal balls? I mean there’s a lot of talk on those. I’ve done it myself they are very effective for me. How is that? You know, do you use crystal balls in your music? Jill I haven’t yet but I would love to. Back to ancient wisdom. Is that there are different harmonic patterns which means when you have an after ripple different amounts of energy can splash at the higher and lower harmonics. Remember ‘A’, ‘E’, how ‘E’ sounds higher and louder just because more energy jumped into a higher pitch. Jill So every metal, every type of metal and every type of crystal that you could possibly make a ball out of, creates its own neat harmonic patterns. And I would say this is that the crystals I believe, each one having its own vibration that they make up a language of light. Jill What better way to heal than to heal with the harmonic healing power of the language of light. Alexandra Yes, yes. I just got back from Arkansas. I went to a town called Mount Ida, and this is the crystal capital of the world. Alexandra A lot of people don’t know that. Yeah. It’s phenomenal. I mean you’re driving on crystals. Alexandra (Laughter). And you’re like so high because you’re in that frequency of the crystal beds. Jill I would listen to my Stardust CD, it’s got the sound of the planets and the elements. It harmonizes you through in a little subtle format and it balances you with higher energy. By a channel I’ve been told that it brings down the energy from the level of your spirit and then you know I have some free music on my site that is really a great blessing to the listeners so please go and get it. It’s at Jillswingsoflight.com. And I give away thirty minutes of free music. I give one of the Stardust, one of the Petri falls which includes the Fibonacci and Solfeggio which are if you will the patterns and the songs and the waves, the wave language of Mother Earth is one way of saying it. Jill And then I give also a healing flower remedy; I have oral versions of the flower remedies. They are a cathartic relief, they take out the crap, which you can do. So you’re not a pansy to listen to the flower remedy. (Laughter). Alexandra (Laughter). And well I love your book. I mean Jill your book: ‘Secret Sounds, Ultimate Healing’ is outstanding. Alexandra Yeah make sure everybody you check it out. It’s a very good book. It’s one of those types of books that you will go to on a consistent basis for reference. It’s got everything in it. You’ve done such an amazing amount of research. Jill Thank you. And the back part even goes into how to modulate your voice to change your energy. Think of your voice as like, a pistol, a water pistol. You know it can direct and change things. It’s a vibration machine. Jill Very powerful, very powerful. Alexandra I totally agree with that. (Laughter). Jill Yeah thank you. And then also on my site I have music that has like the frequencies of collagen and vitamins and healthy things. So it’s beautiful music with things that really tighten your skin slowly and make you feel healthy and beautiful. My beautiful music on many roles, beauty may be deep. And then I have also done work on the chakras in that I spent twenty-five years looking at sound and going all over the globe for different mystery schools. And everybody did Chakras different and in this piece of work I’ve combined seventeen different mystery schools and then I sunk it with tones so like when we are doing the root chakra, or listening to the pitch, the syllable, the harmonic, the instrument, the rhythm, the ball, the crystal, the color, all those things are frequencies, the organs associated with it. Jill I offer those as gifts to heal the world. Alexandra That’s fantastic! I would love that. Now where do we find that? Is that on your site as well? Alexandra Very cool. Well Jill thank you so much for what you do. You truly are affecting people right here right now today. You’re not just talking about it, you’re actually doing it and creating it. And I just want to remind people not to just sit around talking about it folks, but taking action because the time is now for us to be making a difference on this planet and it’s up to us. We can’t look outside ourselves and think we are going to get rescued. Right Jill? (Laughter). Jill Hmmm hmmm (Laughter). Hmmm hmmm. Alexandra So please visit her site and also I can also highly recommend if you get on her mailing list she has some very educational little snippets that she sends out on a weekly basis or so that are very informative and educational, very easy and quick to read which I think is smart on your part Jill and again her site is, go ahead Jill. Alexandra Cool, sounds great. And I want to let every body know that the implant removal process is flying. We are literally transforming I mean amazingly so. If you have any questions just continue to send your emails in to me. Pam and I are busy. We will get back to you however and we are making it happen. This is really changing people. Really unplugging us from this kind of enslavement that we’ve been so used to. So I want to thank everybody. I have such an awesome audience Jill. Alexandra Yeah. Seriously I do. They are very enlightened human beings. I thank all of you. I love you all. Stay tuned for next week and we will see you on the other side. (Laughter). Ok, take care everybody. Thank you. Bye. I want to thank Jacqui for the speedy delivery of this transcription. Thank you and the world thanks you!